I discovered Our Cupcakery during my first visit to Dublin a couple of years ago. My mom, sister, and I were on the hunt for an after-lunch treat. Greeted by the scent of fresh-baked goodies and a friendly staff member, it was that first visit that solidified my love of Our Cupcakery’s Triple Chocolate cupcake. In this post, I have the pleasure of sharing my fondness for one of Historic Dublin’s sweet spots. 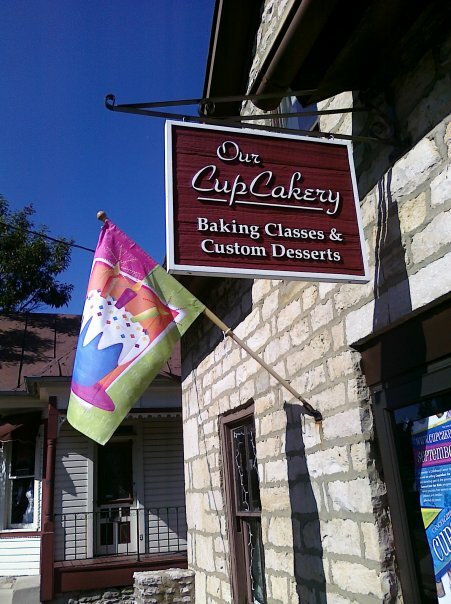 A family business, Our Cupcakery is owned by Linda and Tom Kick. Their daughter, Laura (who just got married – congratulations, by the way!) is the wedding consultant. Suzie, Anne, Andrew, Lean and Annette make up the rest of the culinary team. The shop is located at 16 N High Street in Historic Dublin. 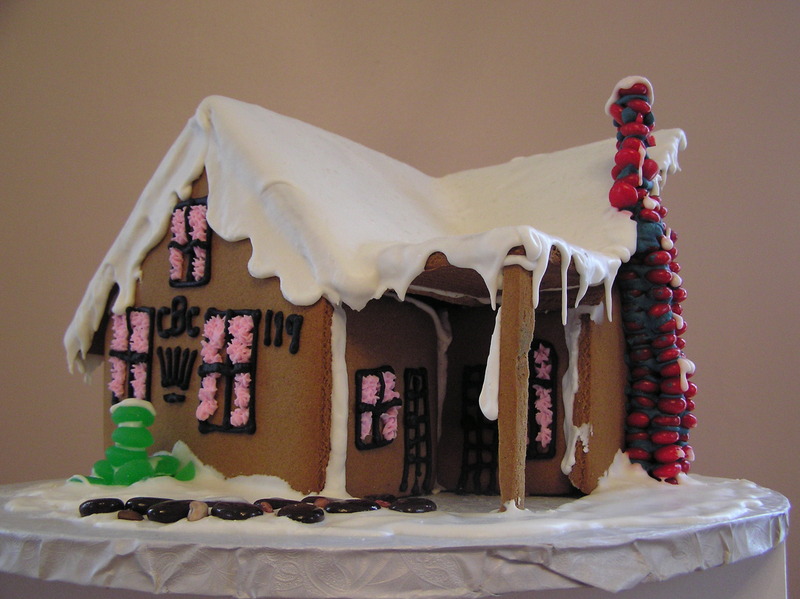 A Holiday Favorite - Gingerbread Houses! At the moment, the Our Cupcakery staff is hard at work taking orders and making gingerbread houses and cookies for the holidays. You can purchase a Farm House (about a 12” square) and Gingerbread Cookies for $89.95 or a Manor Home (13” x 8” x 14” H) and Gingerbread Cookies for $139.95. Custom designed houses are also available. *Orders placed by tomorrow, November 1, receive an additional dozen of gingerbread cookies. 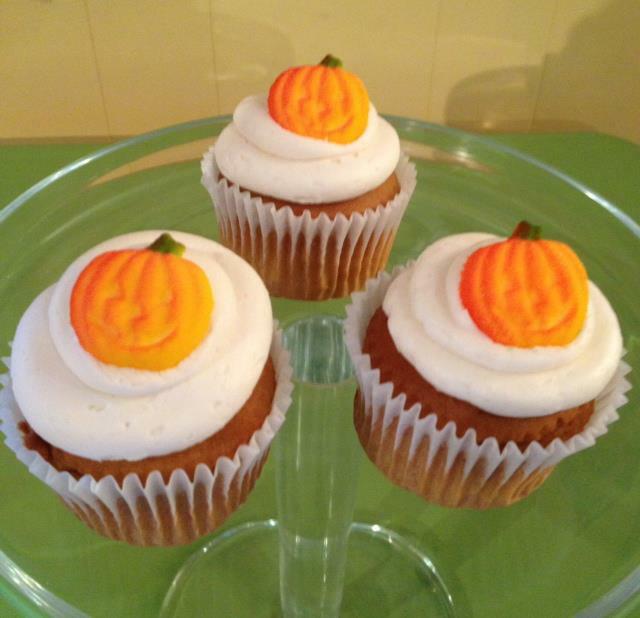 Tip: Our Cupcakery’s seasonal treat is a Pumpkin Caramel cupcake. It is available through Thanksgiving. Hands down, one of the most unique aspects of Our Cupcakery is their Cupcake Bar, where customers can build their own cupcake (or sugar cookie). You get to choose the type of cake you want and then top it with your favorite icing and decorations (sprinkles, crushed Oreos, gummy worms, ect.). The decorated treats are then priced according to weight. The average price is about $3.00, but there have been attempts to beat the 11.4-ounce cupcake record. If you’d rather keep things simple, Our Cupcakery has a selection of “grab and go” cupcakes available in mini, regular, and king-size. Daily flavors include vanilla, chocolate, red velvet, dark chocolate, almond, lemon, orange creamsicle, strawberry, and gluten-free chocolate and vanilla with your choice of chocolate or vanilla buttercream icing. Prices range from $1.75 to $3.95 each. *Call ahead for orders larger than 1 dozen. The Buckeye – Chocolate cake with ganache filling and iced with peanut butter cream. Triple Chocolate – Dark Chocolate cake with ganache filling and chocolate butter cream icing. *My personal favorite! Lovin’ Lemon – Lemon cake filled with lemon curd and topped with lemon butter cream. Dulce de Leche – Vanilla cake filled with caramel butter cream topped with vanilla butter cream and a drizzle of caramel. 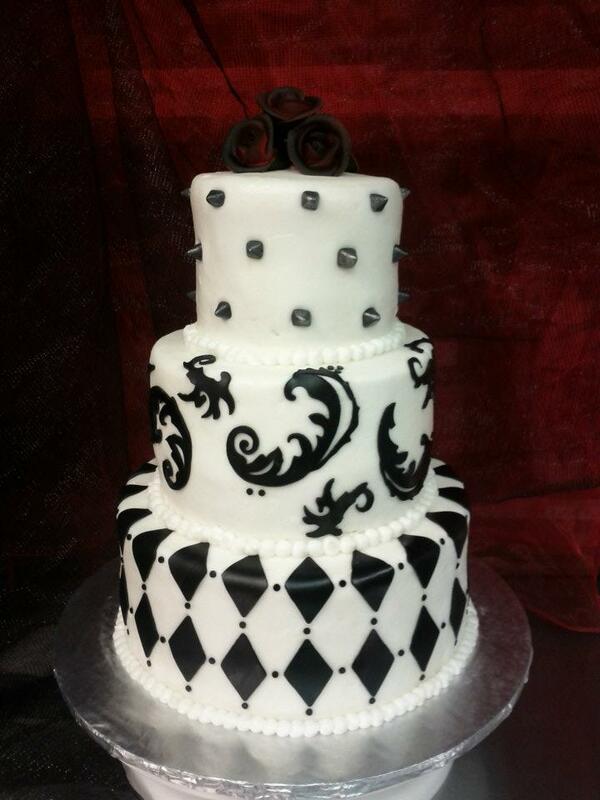 In addition to their can’t-miss cupcakes, Our Cupcakery also specializes in beautiful and distinctive cakes that are perfect for weddings, reunions and anniversaries. The shop was chosen as a 2012 Best of Weddings pick by The Knot. Our Cupcakery is available for children and adult gatherings. The shop serves as a venue for birthday and tea parties, Girl Scout classes, group experiences, and girlfriends’ getaways on a regular basis. If you’ve ever been interested in improving your own baking and decorating skills, Our Cupcakery also offers seasonal classes. Seasonal Cupcake Decorating— Monday, December 3rd, 6:30-7:30 p.m.
Fabulous Fondant Cake —Monday, November 5th, 6:30-8:00 p.m.
Family Ginger Bread House Workshop —Friday, November 30th, 6:30-8:00 p.m.
Cinnamon Yeast Rolls—Monday, November 12th, 6:30-8:00 p.m.
Holiday Sugar Cookies —Monday, December 10th, 6:30-8:00 p.m. So the next time you’re in Historic Dublin and have a craving for something sweet, stop by Our Cupcakery for a fresh-baked treat. Believe me, you won’t be disappointed! Our Cupcakery is open Monday – Saturday from 10 a.m. to 5 p.m. and after hours by appointment. For more information, visit their website, www.OurCupcakery.com, or follow them on Facebook or Twitter (@OurCupcakery) for daily updates.